Girl Guides Victoria is working with Reconciliation Australia on our Reconciliation Action Plan (RAP). 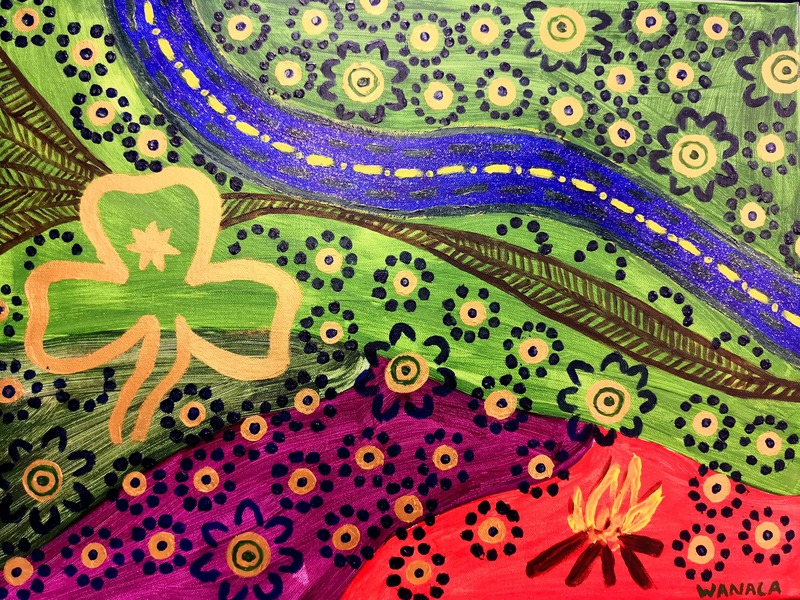 A member of our RAP Working Group generously created an artwork about Girl Guides Victoria’s reconciliation journey. The artwork, Girl Guide Reconciliation, is by Wanala (Gwenda Freeman). 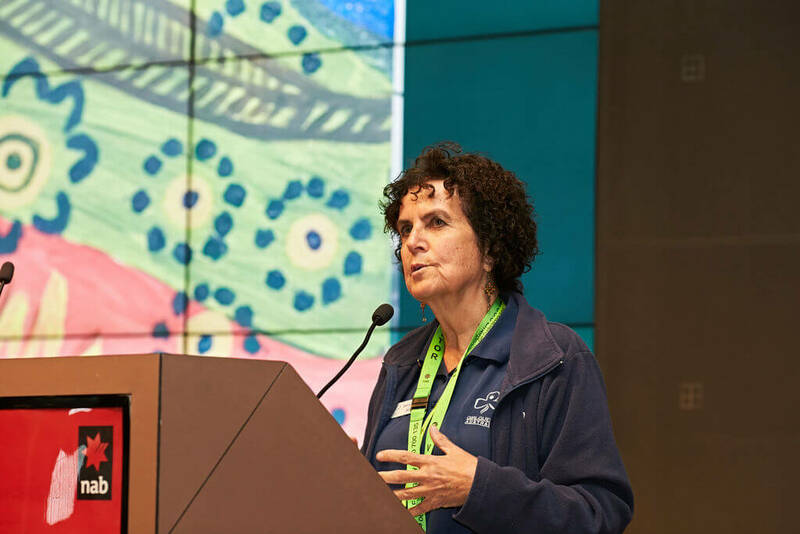 She is an Indigenous artist of Yorta Yorta descent, a Girl Guide volunteer, an academic, and an advocate for Indigenous health and well-being. Wanala (Gwenda Freeman) is a member of the Girl Guides Victoria Reconciliation Action Plan Working Group. She loves to paint in earthy colours and focus on the environment, trees and animals, using symbols where appropriate, to tell a story. She has loved drawing and painting since early childhood, but took a long break from art around the business of a growing family, and has just resumed making art over the past few years. Her commitment to Girl Guides commenced in 1961 when she joined a Clayton Unit. She was awarded her Queen’s Guide badge in 1966 or 67, and then had a long break until returning to be a leader of the Avoca Unit, and District Leader for Maryborough about 15 years ago. She now assists her daughter to run the Avoca Gem Guides Unit. Her Guide name is Wanya, which means ‘sister’ in Yorta Yorta. Girl Guides Victoria acknowledges and pays respects to past, present and emerging Traditional Custodians and Elders of this country and values the continuation of cultural, spiritual and educational practices of Aboriginal and Torres Strait Islander peoples.